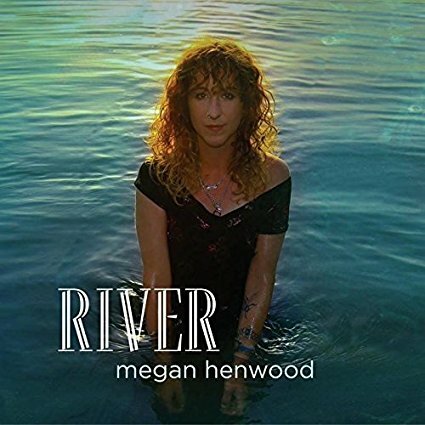 The new album by Megan Henwood epitomises some of the real strengths that exist today within the realm of artists that set out from a folk music base. This is not necessarily purely in the traditional form, but more from an alternative/contemporary angle where conventions wither in a tide of creative whim. To shed some light on the song style that lends itself to the material that forms RIVER, think of Megan co-habiting in the territory that has yielded exceptional albums from Laura Marling and Lucy Rose this year. This is British music almost boring a new hole to create a yet unnamed genre. Essentially, it’s innovative acoustic music, luring an audience with a captivating vocal appeal proving the ideal vehicle for deep meaningful songs. Megan first caught my ear a couple of years ago with the release of her second album HEAD HEART HAND. If the judge is the number of plays far exceeding those required for review evaluation, then RIVER is surpassing the previous record and proving an essential album for a variety of moods. Without putting an overriding emphasis on a single particular quality, the hushed vocals exude both a warm and fragile emotion, whilst enriching a hypnotic listening experience. A compulsive beat and liberal sprinkling of engaging melodies will further push this album into the listening sphere of folks looking to expand from their comfort base. All twelve tracks are self-penned efforts and in line with the connotation of the album title, have an aqua flavour. A brief delve into some of Megan’s thoughts towards making the album reveal more of this inspiration including the contrasting water features associated with past and present existences in Oxford and Cornwall. The quality of the songs, whether in implicit or explicit mode, will keep an inquisitive listener busy for a considerable amount of time; this is not exactly an ordeal when the music is so satisfying. High spots from this record are aplenty, but few will argue against the immense effect of the opening two numbers. ‘Fresh Water’ just about edges ‘Join the Dots’ partly due to its chorus inducing shivers, but the preference is marginal. The choice may also be influenced by the inclusion of some trumpet, thus edging further away from the folk starting point. Megan focusses on her home city of Oxford in ‘The Dolly’, repeatedly calling out ‘I’m not ready to leave this city yet’ amidst references to locations like the bubbling and bohemian Cowley Road. This is Megan probably at her most explicit, in contrast to the following track ‘Seventh’ and one, which leaves the listener room to dissect the evolving nature of yet another fascinating chorus. Further into this album, the delightful ‘Rainbows’ and the moderating ‘Peace Be the Alien’ catch the ear to maintain the momentum right up to a slightly different sounding track to bring the record to a finish. ‘L’Appel du Vide’ translated to ‘the call of the void’ fills this spot, successful in displaying the delicate vocals unaccompanied before the faint music kicks in for a final time. At times RIVER does straddle the line between cultured pop and a more abstract piece of art. It sets out to court listeners on an artist’s terms and for me that siphons out those designed on chasing trends rather than leading them. Megan Henwood falls entirely in the camp of the innovator and any accrued success for this album will entirely justify the approach to wander creatively. Mature, intriguing or any other descriptive elements only begin the process of where this record can register on the listener scale. Road testing it is an opportunity to be grasped.